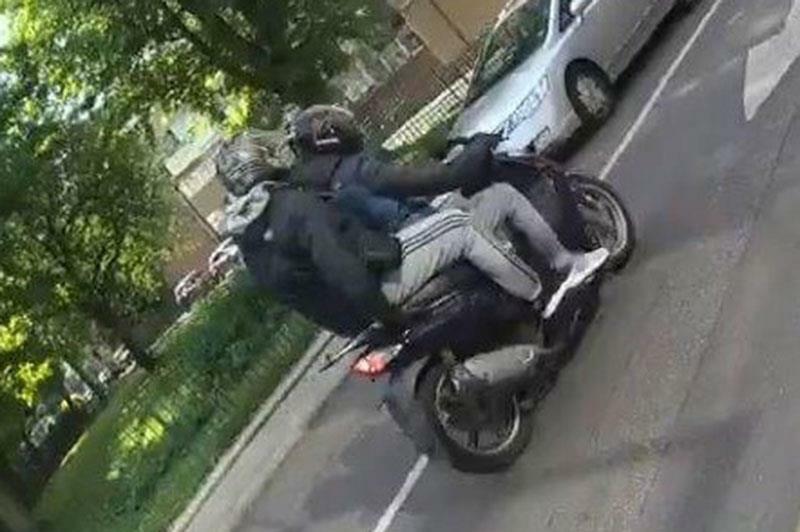 Police in London have arrested a teenager following a spate of robberies that involved two suspects riding around on stolen mopeds attacking victims with acid. The attacks happened over a 90-minute period last night around Hackney in East London, with the first reports at 10:25pm concerning a 32-year-old man who was found suffering from facial injuries. He had been riding a moped when two males pulled up alongside him on another moped before throwing acid in his and stealing his vehicle. Then at 11:05pm, another victim was hospitalised after reports that a corrosive substance had been thrown in the face of another man on Shoreditch High Street. Following this at 11:18pm police were alerted to another robbery that involved a corrosive substance, this time to a male in his mid-20s. The victim was hospitalised with injuries that are being described as ‘life-changing’. Another incident involving a moped occurred at 11:37pm when a man was attacked while sitting in traffic. Two males on another moped pulled up alongside him and sprayed liquid in his face before stealing his moped and riding off. Officers were also made aware of a similar incident that was reported in Islington at 10:49pm, where another man was hospitalised after having a corrosive substance thrown in his face by two male attackers. The attacks are all being treated as linked and a 16-year-old has been arrested on suspicion of grievous bodily harm and robbery and is currently in custody at an East London police station. Police are appealing to witnesses with any information or footage of the attacks to call 101, tweet @MetCC or phone Crimestoppers anonymously on 0800 555 111.